A dry well system is an underground water drainage system that works on the principle of gravity. 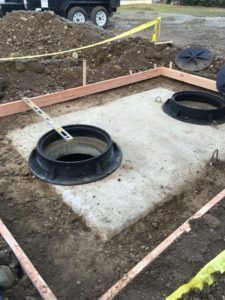 The dry well system disposes off water from driveways, rain runoffs, storm water, and household gray water into a dry well. Through perforated walls and the bottom of the dry well, water dissipates into ground water. If not maintained regularly, normal functioning of the dry well is hampered, rendering it ineffective which leads to the dry well overflowing. At Vac-Tec LLC, we understand dry wells and know how to repair them. DuPont, WA residents have long trusted us and our well-trained technicians to make any repairs necessary on their dry wells. We offer our impeccable customer-oriented services for dry well repairs to DuPont residents at the most affordable rates. By virtue of a dry well system, non-sewage water percolates into the ground slowly and is absorbed. The dry wall system is a passive system relying on gravity to direct water flow into the system. Water dissipates through pores along sides and base of dry well system. Depending on the terrain of the are French drains are sometimes utilized in a dry well system. They are small trenches, filled with gravel or perforated pipes to redirect water away from a particular area. 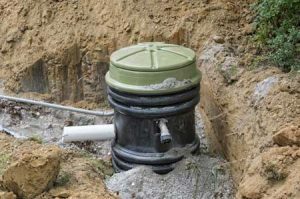 For installation, repair or maintenance of dry well system, give us a call today. Lack of maintenance creates many dry well problems that result in dry well repair. 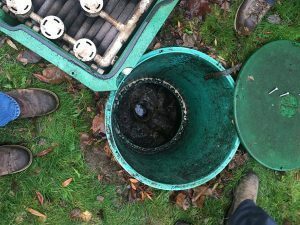 Clogging, overflowing and water pooling are commonly encountered with dry well problems. Imperfections in installation of pipes, valves or fittings may divert water to unintended direction.Dry well problems such as the dry well not draining, remaining full of water or backing up are treated with skill by our efficient staff. Due to our excellent customer service and 24/7 emergency services, we are rated amongst the most reliable companies to handle dry well problems in DuPont. When you need dry well repairs, a dry well system installed or help with dry well problems in DuPont, call Vac-Tec LLC at (253) 777-4887.